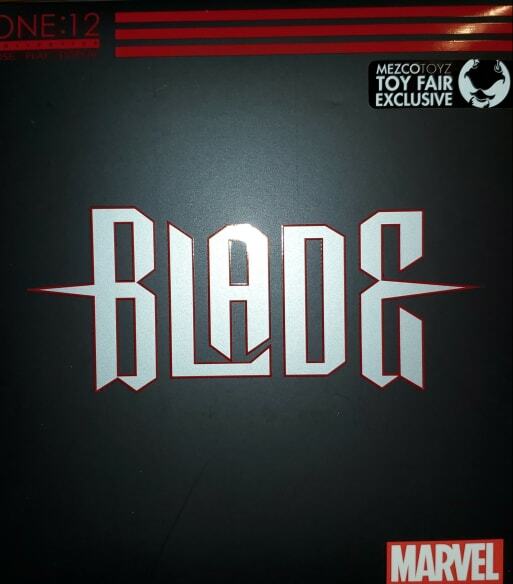 Check out the Premier Blade given as a gift at Toy Fair 2019 and hasn’t been available yet anywhere else, vampire hunter of the Marvel Universe, joins the One:12 Collective. The One:12 Collective Blade figure features four intricately detailed head portraits: an unwelcoming scowl and a bloodcurdling roar, along with two bald version. No details were overlooked when designing the infamous daywalker. Blade comes well-equipped to hunt down creatures of the night with accessories including a customized submachine gun with removable magazines, a pump action shotgun, his signature swords with removable sheath, collapsible throwing blades, striking stakes, and of course, sunglasses. with both red or black lenses.